Concrete is the most widely used construction material. It is estimated that the present use of concrete in the world is approximately 11 billion metric tons every year. Our concrete testing laboratory tests every component in the concrete mix design (cement, fly ash, slag, admixtures, fine and course aggregate) as well as the concrete mix itself. 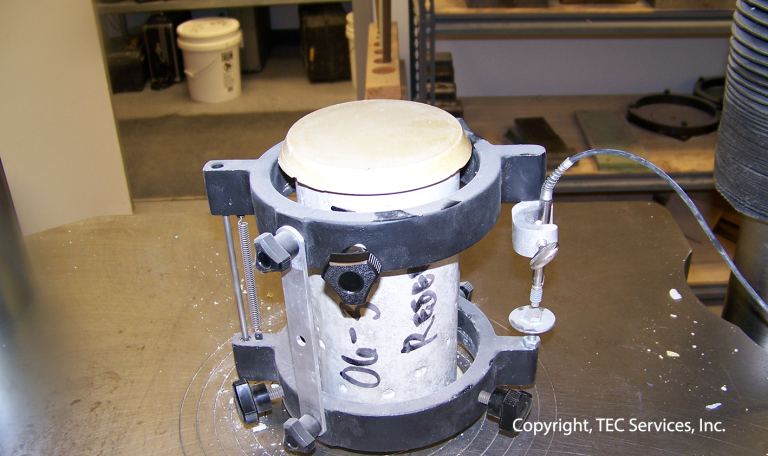 We can also evaluate the plastic properties of the mix as well as the hardened properties. We have provided mix designs for the pavement industry, nuclear industry, and commercial industry. Our concrete laboratory is approved and/or inspected by A2LA, AMRL (AASHTO Materials Reference Laboratory), CCRL (Cement and Concrete Reference Laboratory) and the US Army Corps of Engineers for concrete testing. Our laboratory accreditations include: ISO 17025, AASHTO R18 and we are an approved laboratory for the US Army Corps of Engineers. Our employees are active members in ACI, ASTM, ICRI, FRCA, ASCE and SWRI. Several employees are current or past committee members, committee chairs, board members and presidents of local and national chapters. 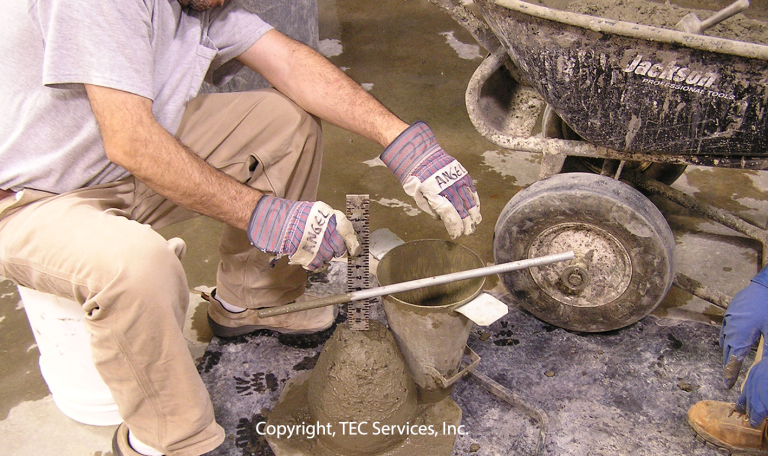 We work closely with ASTM in the development of concrete test methods, testing guidelines and specifications. 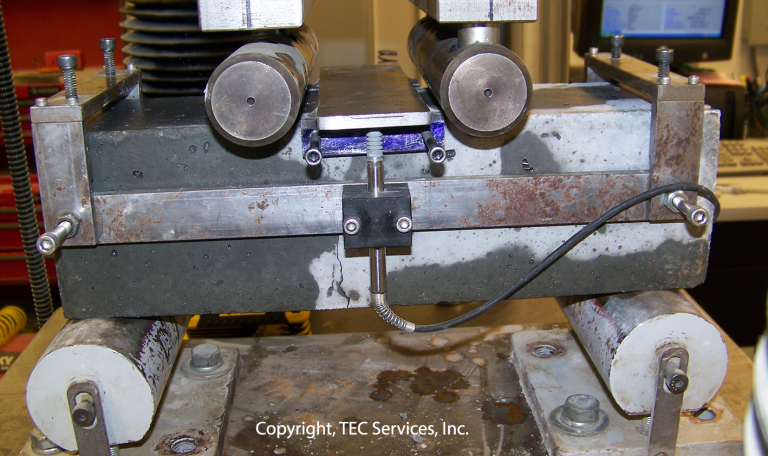 A basic list of some of the concrete testing our laboratory provides is listed below. 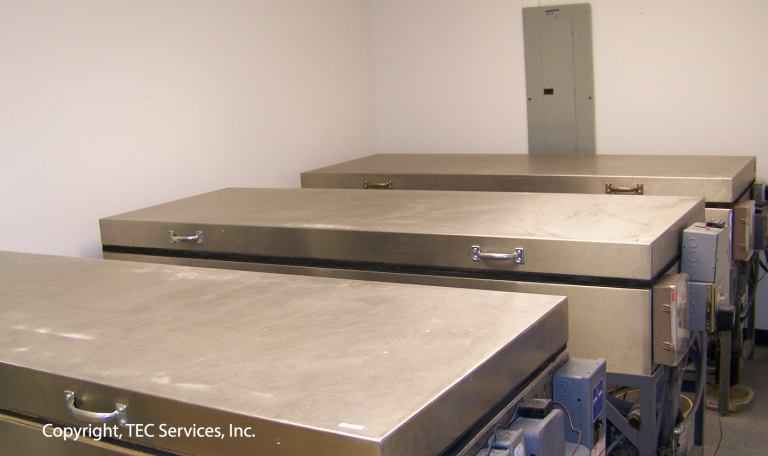 This list consists of ASTM tests and other tests that we perform on a regular basis. If a test is desired that is not listed below, please call us and inquire for further details.